Organisers of the Pearl Izumi Tour Series cycling event have confirmed that Durham City will feature in this year’s race calendar. The event, now in its eighth year, will take place at 10 different venues between Thursday 12 May and Thursday 9 June. The series will see six top British professional cycling teams, and possibly some local guest teams, competing in the challenging town and city centre races, which begin in the Isle of Man and end in Portsmouth. 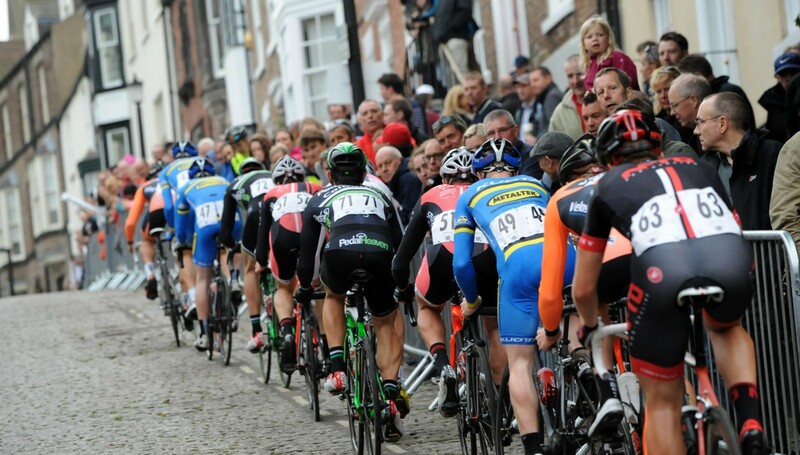 Organisers SweetSpot have confirmed that the Durham circuit, with its tough cobbles and climbs, will feature in round six of the series on Tuesday 31 May. Cllr Maria Plews, our Cabinet member for leisure, libraries and lifelong learning, said: “We’re delighted to welcome back the Pearl Izumu Tour Series to the streets of Durham. The Pearl Izumi Tour Series is unique in world cycling, focusing on a team concept that see’s Britain’s professional cycling teams competing to be the fastest in an action packed, one-hour circuit race.